Bane is a K-9 deputy in Virginia. POWHATAN COUNTY, Va. — We know a good dog who deserves extra treats today. Two 8-year-old boys got lost in Powhatan County, Va., on Saturday, sending parents and neighbors into desperation mode. 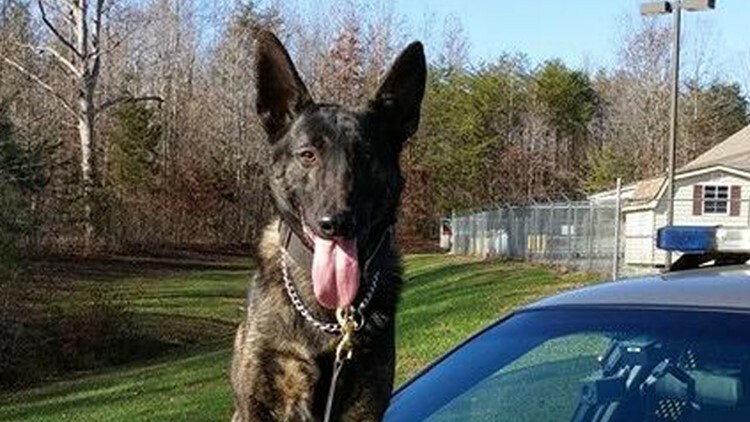 After 45 minutes and daylight fading, they called the Powhatan County Sheriff's Office, who put K-9 deputy Bane on the case. Within 15 minutes, Bane had found the boys. The sheriff's office said results like this one is why they keep a K-9 program going despite the cost.